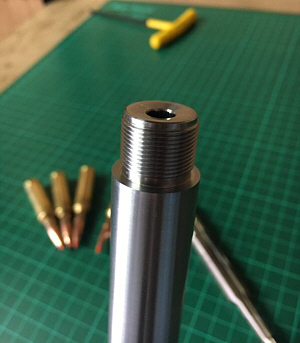 We are able to offer all types of barrel threading / muzzle screw cutting for sound moderators and muzzle brakes. 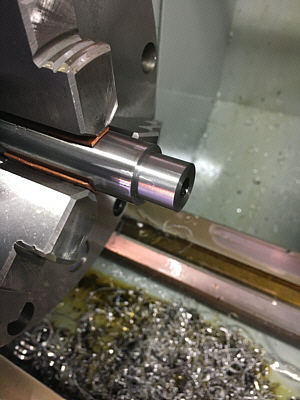 Our threads are cut on a lathe not a die, and are concentric to the bore to provide an accurate and safe mounting point for any muzzle device. 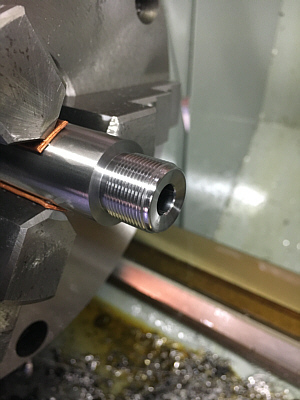 Finally, after threading, an 11 degree target crown is cut. 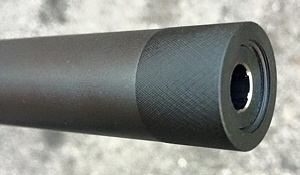 Any thread configuration can be cut, but depending on the rifle and its use we commonly use 1/2" UNF, 5/8" UNF and M18 x 1. 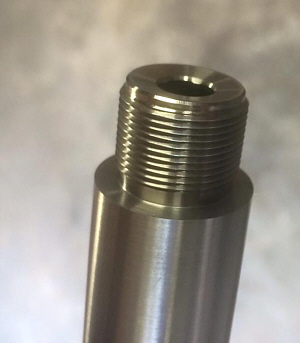 For an additional cost we can also supply a thread protector with either a knurled finish, or the smooth "invisible" type. Barrel mounted and dialed in. 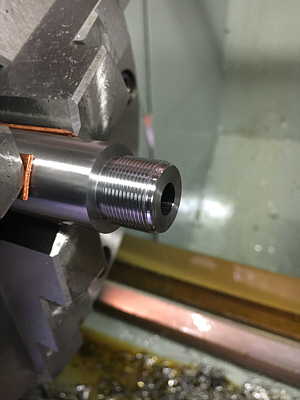 Just a couple of examples of our muzzle screw cutting service. This picture shows one of our invisible end caps. 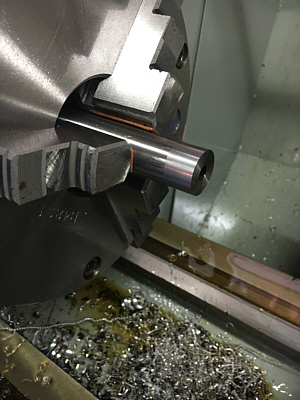 Barrel cutting and threading service uk. 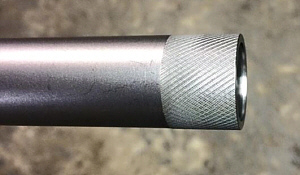 Cutting and recrowning a rifle barrel. Barrel shortening service. 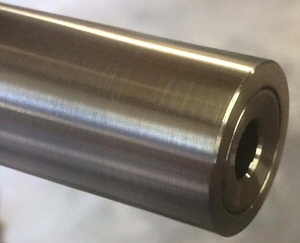 Bedfordshire, Buckinghamshire, Hertfordshire, Northamptonshire, Milton Keynes, Gunsmith services, gunsmithing, muzzle screw cutting, barrel threading, barrel chambering, barrel shortening, barrel crowning, AR 15, Remington 700, Howa 1500, Sako, Tikka, CZ 452, ruger 10-22, custom action blue printing, sound moderators, mcmillan stocks, bell and carlson stocks, manners stocks, trigger spring upgrade, tactical rifle, stalking rifle, rifle bedding, lathe concentric muzzle threading, timney trigger, jewel trigger, barreling, shilen barrels, lothar walther barrel, krieger barrel, border barrel, bergara barrel, bartlein barrel, armalon barrel, reloading supplies. Barrel Threading service. 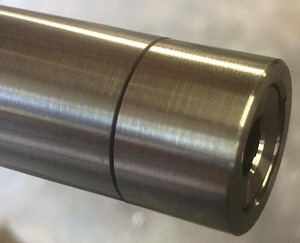 Barrel shortening service UK.